St. Augustine’s “Frightseeing” Tour, Ghosts & Gravestones has added an even more chilling stop to its already daunting tour. 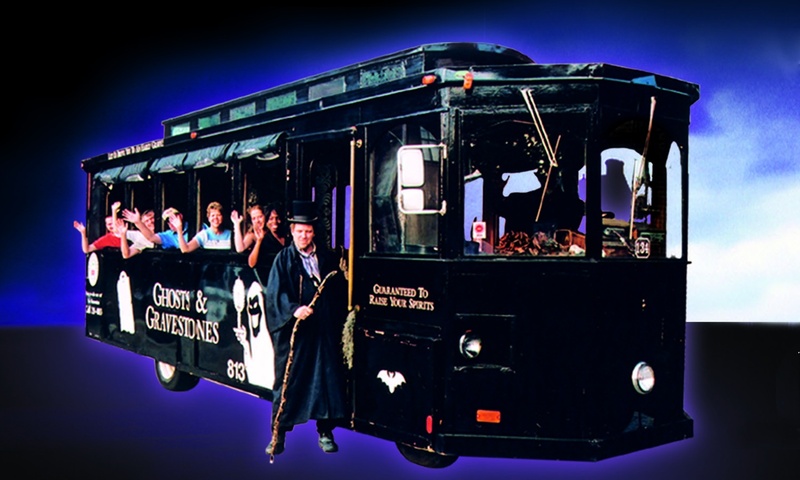 The St. Augustine Trolley of the Doomed now makes its way over to Lighthouse Park, where guests can explore and experience the presence of those who are believed to haunt the Lighthouse grounds. The Lighthouse has numerous recorded deaths that relate to the unique hauntings that have been witnessed onsite. Visitors and employees have claimed to see moving shadows and have heard whispered voices and unexplained noises. The new tour is a must for the curiously brave soul who dares to question the unexplainable. Posted in , St. Augustine | Comments Off on Do You Dare Board The Trolley Of The Doomed? You are currently browsing the Old Town Trolley Tours Blog blog archives for August, 2010.